Includes two titles translated from Arabic. The Man Booker International Prize is awarded annually for a single book of fiction - novel or short-story collection - translated into English and published in the UK or Ireland. Authors and translators are considered to be equally important, with the £50,000 prize being split between them. In addition, each shortlisted author and translator receives £1,000. The judges considered 108 books for the longlist. Jonathan Wright is longlisted for his translation of Palestinian-Icelandic writer Mazen Maarouf's collection of short fiction Jokes For The Gunmen, published by the Granta imprint Portebello Books. Wright has enjoyed previous success with the Man Booker International Prize and its predecessor, the Independent Foreign Fiction Prize, which he won in 2014 for his translation of Iraqi writer Hassan Blasim's The Iraqi Christ. He was shortlisted for the 2018 Man Booker International for his translation of Iraqi writer Ahamed Saadawi's Frankenstein in Baghdad. 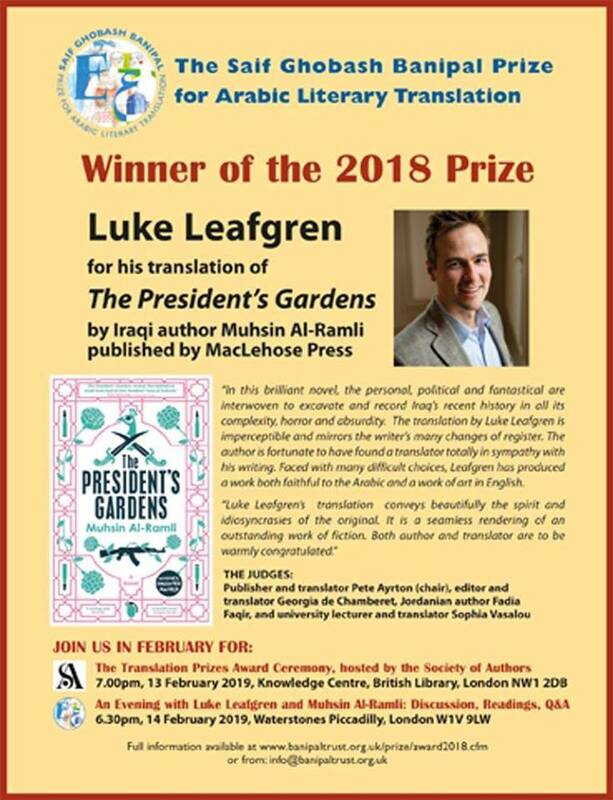 The translation was also shortlisted for the 2018 Saif Ghobash Banipal Prize for Arabic Literary Translation. 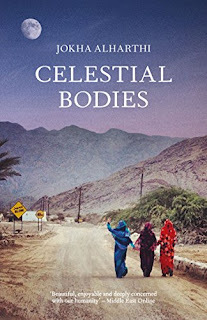 Marilyn Booth is longlisted for the first time, for her translation of Omani author Jokha Alharthi's novel Celestial Bodies published by Sandstone Press. The longlist was selected by a panel of five judges: chair, Bettany Hughes; writer, translator and chair of English PEN Maureen Freely; philosopher Professor Angie Hobbs; novelist and satirist Elnathan John, and essayist and novelist Pankaj Mishra. The shortlist of six books will be announced on 9 April at an event at Somerset House,London, and the winner will be announced on 21 May at a dinner at the Roundhouse in London. The night before the 2019 prize winner is unveiled, join this year’s shortlisted authors and translators for an evening of readings in both English and the native languages of the books, and conversation around their books. Plus, a Q&A and book signing. Join us for an evening celebrating the winner of the Man Booker International Prize 2019. A byword for the finest fiction in translation, the prize celebrates literature from all over the world. Following the announcement of the 2019 prize winner on Tuesday 21 May, join this year’s winning author and translator for an evening of readings in both English and the native language of their book. This will be followed by a discussion about writing the book and experience of winning the prize, an audience Q&A and book signing. More events will be announced in due course. Can Xue was born in Changsha, Hunan, China in May 1953. She is a Chinese avant-garde fiction writer, literary critic, and tailor. Xue began writing in 1983 and published her first short-story in 1985. She has written novels, novellas, and works of literary criticism about the work of Dante, Jorge Luis Borges, and Franz Kafka. Regarded as one of the most experimental writers in the world by some literary scholars and readers, her writing, which consists mostly of short fiction, breaks with the realism of earlier modern Chinese writers. She lives in Buffalo, NY, USA. Annelise Finegan Wasmoen was born in Philadelphia, USA, in September 1981. She is Academic Director and Clinical Assistant Professor of the MS in Translation and oversees the Translation and Interpreting open enrolment programme at The Center for Applied Liberal Arts at NYU. Her translations from Chinese into English include Can Xue’s novel The Last Lover, which received the Best Translated Book Award from Three Percent and was longlisted for the National Translation Award from the American Literary Translators Association. She also has a background in academic and textbook publishing. Annelise is a Ph.D. candidate in Comparative Literature at Washington University in St. Louis, where she completed a Graduate Certificate in Translation Studies, and she holds a B.A. in Literature from Yale University. She lives in Buffalo, NY, USA. Hwang Sok-yong was born in Changchun, China in January 1943. In 1993, he was sentenced to seven years in prison for an unauthorised trip to North Korea to promote artistic exchange between the two Koreas. He was released five years later on a special pardon by the new president. He has been shortlisted for the Prix Femina Étranger and was awarded the Émile Guimet Prize for Asian Literature for At Dusk. His novels and short stories are published in North and South Korea, Japan, China, France, Germany, and the United States. He lives in Seoul, South Korea. Sora Kim-Russell was born in Florida, USA, in March 1976. She is a poet and translator, and teaches at Ewha Women's University. She lives in Seoul. Mazen Maarouf was born in Beirut, Lebanon, in January 1978. He is a Palestinian-Icelandic writer, poet, translator and journalist. He has published three poetry collections and two shortstory collections. He currently lives between Reykjavik and Beirut. Jonathan Wright was born in Andover, UK, in December 1953. He is a British journalist and literary translator. He joined Reuters news agency in 1980 as a correspondent, and has been based in the Middle East for most of the last three decades. He has served as Reuters' Cairo bureau chief, and he has lived and worked throughout the region, including in Egypt, Sudan, Lebanon, Tunisia and the Gulf. From 1998 to 2003, he was based in Washington, DC, covering U.S. foreign policy for Reuters. For two years until the autumn of 2011 Wright was editor of the Arab Media & Society Journal, published by the Kamal Adham Center for Journalism Training and Research at the American University in Cairo. He lives in London. Soldiers won the Prix Médicis. His novel A Meal in Winter was also shortlisted for the Independent Foreign Fiction Prize. He lives in Grenoble. Sam Taylor was born in Nottinghamshire, England, in August 1970. He is a translator, novelist and journalist, and began his career as a journalist with The Observer. His translated works include Laurent Binet's award-winning novel HHhH and Leila Slimani's Lullaby. His own novels have been translated into ten languages. He lives in Texas. Marion Poschmann was born in Essen, Germany, in December 1969. A prize-winning poet and novelist, she has won both of Germany's premier poetry prizes, has been shortlisted for the German Book Prize on three occasions and won the 2013 Wilhelm Raabe Literature Prize. She lives in Berlin. Samanta Schweblin was born in Buenos Aires, Argentina, in March 1978. She is the author of three story collections that have now been translated into 20 languages. The recipient of numerous awards including the prestigious Juan Rulfo Story Prize, her debut novel Fever Dream was shortlisted for the Man Booker International Prize 2017. She lives in Berlin. Megan McDowell was born in Mississippi, USA, in October 1978. She has translated books by many contemporary South American and Spanish authors. Her translations have been published in The New Yorker, Harper's and The Paris Review. She received the 2013 PEN Award for Writing in Translation. She lives in Santiago, Chile. Sara Stridsberg was born in Solna, Sweden, in August 1972. She is a writer and playwright. Her second novel, The Faculty of Dreams, won the Nordic Council Literature Prize, and her novels have four times been shortlisted for Sweden’s August Prize. The Gravity of Love – Ode to My Family, has been sold in 15 languages and was the 2015 Swedish winner of the European Prize for Literature. She lives in Stockholm. Deborah Bragan-Turner was born in Middlesborough, UK in February 1953. She translates Swedish literature, particularly literary fiction and biographies. She has a degree in Scandinavian languages from the University College London. She lives in Faversham, UK. Olga Tokarczuk was born in Julechon, Poland, in January 1962. One of Poland’s best and most beloved authors, her novel Flights won the 2018 Man Booker International Prize, in Jennifer Croft’s translation. In 2015 she received the Brueckepreis and the prestigious annual literary award from Poland’s Ministry of Culture and National Heritage, as well as Poland’s highest literary honour, the Nike and the Nike Readers’ Prize. Tokarczuk also received a Nike in 2009 for Flights. She is the author of nine novels, three short-story collections and has been translated into a dozen languages. She lives in Wroclaw, Poland. Juan Gabriel Vásquez was born in Bogotá, Colombia, in January 1973. He is the author of four previous novels, The Informers, The Secret History of Costaguana, The Sound of Things Falling and Reputations, as well as the story collection The All Saints' Day Lovers. He is the winner of many prizes including the 2014 International IMPAC Dublin Literary Award for The Sound of Things Falling (jointly with his translator Anne McLean), the 2013 Gregor von Rezzori Prize and the 2011 Alfaguara Prize. He has translated works into Spanish and his own work has beentranslated into more than 20 languages. He lives in Bogotá. Tommy Wieringa was born in the Netherlands in May 1967. He grew up partly in the Netherlands, and partly in the tropics. He began his writing career with travel stories and journalism, and is the author of four other novels. His fiction has been shortlisted for the International IMPAC Dublin Literary Award and the Oxford/Weidenfeld Prize, and has won Holland’s Libris Literature Prize. He lives in the Netherlands. Sam Garrett was born in Harrisburg, USA, in September 1956. He has translated some 40 novels and works of non-fiction. He has won prizes and appeared on the shortlists of some of the world’s most prestigious literary awards. He is also the only translator to have twice won the British Society of Authors’ Vondel Prize for Dutch–English translation. He lives in Amsterdam. Alia Trabucco Zerán was born in Santiago, Chile in August 1983. She was awarded a Fulbright scholarship for her MFA in Creative Writing at New York University and holds a PhD in Spanish and Latin American Studies from University College London. The Remainder is her debut novel. It won the Best Unpublished Literary Work awarded by the Chilean Council for the Arts in 2014, and on publication was chosen by El País as one of its top 10 debuts of 2015. She lives in London. In 2000 the Sudanese short-story writer, novelist and playwright Leila Aboulela became the first-ever winner of the newly-inaugurated Caine Prize for African Writing, for her short story “The Museum”. In his speech at the award ceremony, the chair of the judges, Nigerian poet and novelist Ben Okri, described the story as “moving, gentle, ironic, quietly angry and beautifully written". These qualities are evident throughout the substantial body of short fiction she has produced in the two decades since. In 2001 Aboulela’s first collection of short stories, Coloured Lights, was published by Scottish publisher Polygon. It was shortlisted for the PEN/Macmillan Silver Pen Award. Since then, her short stories have appeared in numerous publications and anthologies, and publication of a second collection has been long overdue. The publication by Telegram of such a collection, Elsewhere, Home, is much to be welcomed. Even before publication the book was longlisted in the fiction category of the People’s Book Prize. 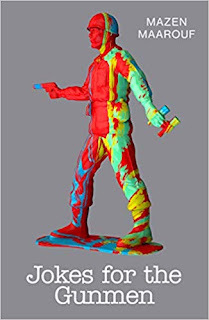 The collection subsequently won the Saltire Fiction Book of the Year Award, open to authors of Scottish descent or residing in Scotland," or whose writing deals with "the work or life of a Scot or with a Scottish question, event or situation." Aboulela was among the first contemporary authors in the UK to write from a Muslim perspective. She grew up in Sudan and has had much experience of living in both Muslim and non-Muslim societies. She was living in the Scottish oil city of Aberdeen when she wrote Coloured Lights, and then lived in Indonesia, the United Arab Emirates and Qatar before returning to Aberdeen where she now lives. 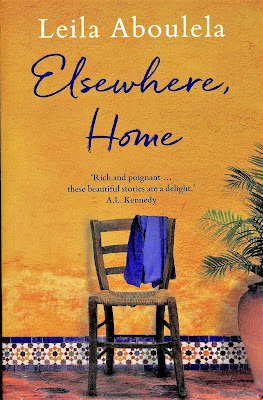 The 13-stories in Elsewhere, Home span Aboulela’s writing career. They include six stories from Coloured Lights, among them “The Museum”. These early stories have stood the test of time, and are more relevant than ever at a time when multiculturalism is being challenged, the extreme right is on the rise in the West, and Muslims feel under increasing pressure. The stories often expose misunderstandings between cultures or generations. In “Summer Maze” Nadia and her mother Lateefa, Egyptian immigrants to the UK, are on their annual visit to Cairo. There is a gulf in understanding between them. Nadia, who has lost the ability to speak the Arabic she babbled as a baby, is embarrassed by her mother’s continuing pronouncing of the English “p” as “b”. Lateefa, on the other hand, has long hoped that her daughter would marry her cousin Khalid, and is devastated to find he is now engaged. It is his fiancée who introduces Nadia to literature by Egyptian authors translated into English, and through reading such books Nadia finds access to her mother’s world. In “The Aromatherapist’s Husband” Elaine is a whimsical free spirit, who practises alternative therapies and consults fortune tellers. Her welder husband Adam is plodding and practical, and unable to keep up with a wife who believes in angels and dreams of working at Mother Theresa’s orphanage in Calcutta. A recent story, “Pages of Fruit”, is addressed in the second person by the female narrator to the woman author she had for years put on a pedestal and with whom she longed to strike up a friendship. Like the narrator, the idolised author is an African from a highly educated family: “Your story was a bridge to a world I had left behind after marriage and migration.” The narrator used to send letters to the writer, with no reply. Encountering the author years later in Abu Dhabi, where her husband’s work has taken him, the narrator sees her in a more realistic way and is somehow freed. The story may be met with a wry smile from certain readers who encounter a much-admired writer in real life, say at a literary event or festival. The central figure in “Expecting to Give” is a lonely and depressed expectant mother whose husband Saif is working on a platform in the North Sea. She suffers sickness, and cravings, especially for tomatoes, and longs for the return of her husband She had been a social worker back in her own country, but her job applications in her new city of residence have been rejected. An incident in a kebab shop leads her to a confrontation with a mother pushing a toddler in a pushchair. In the story “Majed” Hamid, "born and bred on the banks of the Blue Nile", is married to Scottish convert, Ruqqiyah. She had walked away from her marriage, her two children in tow, in order to be with him and they have had a baby, Majed, together. In Hamid’s eyes she is “so good, so strong, because she is a convert. But he, he had been a Muslim all his life and was, it had to be said, relaxed about the whole thing. Wrong, yes it was wrong. But he wasn't going to argue about that. Not with Ruqqiyah”. He had married Ruqqiyah because he needed a residence visa, while as a new convert she needed a Muslim. Hamid drinks whisky surreptitiously, and Ruqqiyah uncovers his secret alcohol habit in an appalling way. 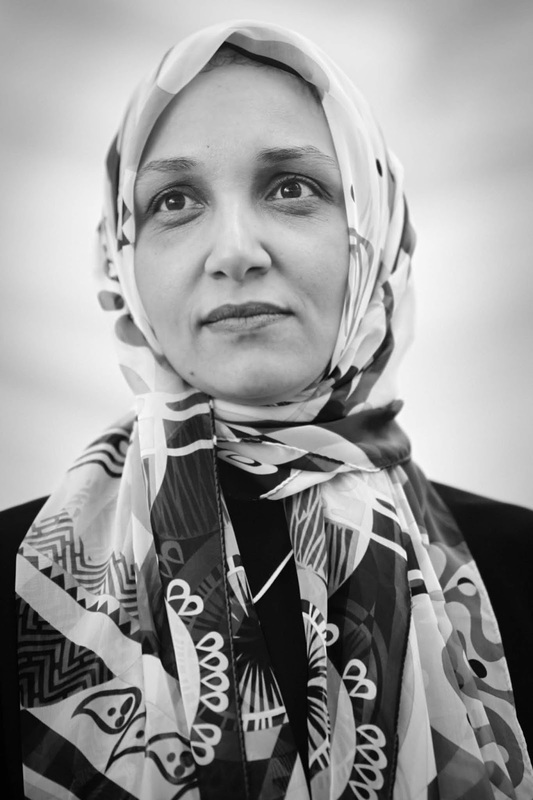 Despite her output of short fiction, Leila Aboulela is probably best known as an award-winning novelist. Her debut novel The Translator was published by Polygon in 1999. 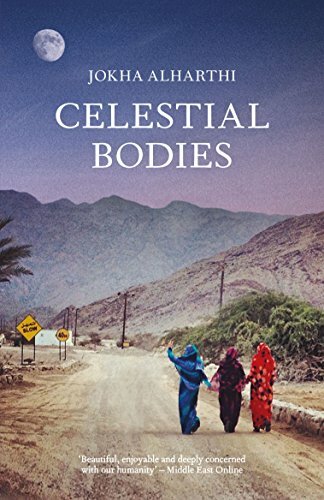 It was longlisted for the Orange Prize for Women’s Fiction, as were the two novels that followed: Minaret (Bloomsbury, 2005) and Lyrics Alley (Weidenfeld & Nicolson, 2010). Her fourth novel The Kindness of Enemies was published by W&N in 2015. Her fifth novel Bird Summons is due to be published by W&N on 7 March. 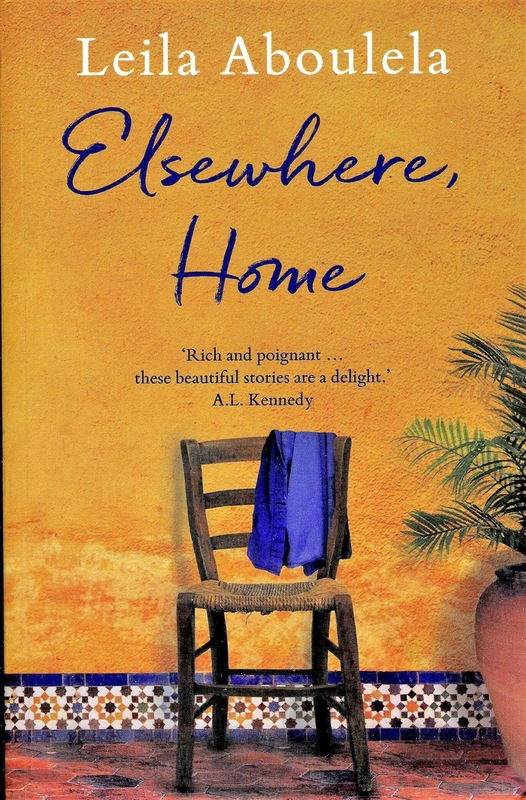 Elsewhere, Home shows that in addition to being an outstanding novelist, Aboulela is an exceptional short story writer. The collection is surely destined to widen her readership and reputation yet further. 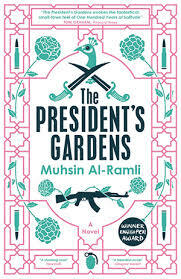 Held in association with the Banipal Trust for Arab Literature, Muhsin Al-Ramli and translator Luke Leafgren, will be joining us to discuss this year’s winner of the Banipal Prize, The President’s Gardens. “A contemporary tragedy of epic proportions. No author is better placed than Muhsin Al-Ramli, already a star in the Arabic literary scene, to tell this story. I read it in one sitting.” says Iraqi writer Hassan Blasim, winner of the Independent Foreign Fiction Prize for The Iraqi Christ. The Saif Ghobash Banipal Prize is an annual award of £3,000, made to the translator(s) of a published translation in English of a full-length imaginative and creative Arabic work. The prize seeks to raise the profile of contemporary Arabic literature, as well as honouring the important work of individual translators in bringing the work of established and emerging Arab writers to the attention of the wider world. Please join us for what promises to be a truly fantastic, celebratory evening of discussion. Tickets are free, but please register your interest via the Eventbrite link at the bottom of the Waterstones website page on the event. 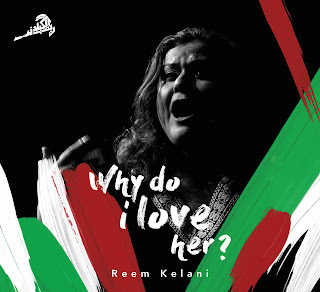 Reem Kelani's EP: Why Do I Love Her? - "Mama Don’t Allow", an American blues number Reem used to sing to her mother, rendered in her unique fashion as an Arabic jazz singer, and influenced by her father’s fascination for the American songbook. The songs were recorded live by Gurjit Dhinsa at the Tabernacle as part of Nour Festival on 12 October 2016: Reem was joined in the concert by her trusty trio of Bruno Heinen (piano), Ryan Trebilcock (double bass) and Antonio Fusco (drums).The tracks were subsequently mixed by Steve Lowe and Reem. Meanwhile, work continues apace on Reem's next album This Land is Your Land, and on her long-term research on the Egyptian composer Sayyid Darwish (albeit hostage to the political situation in Egypt and to financing). "In October 2016, I performed with my wonderful band at the Tabernacle in London for a second time as part of the Nour Festival of Arts, copromoted by Arts Canteen. "The concert afforded the opportunity for the launch of my second album Live at the Tabernacle (Fuse Records, 2016). We also decided to record the gig for good measure, and I am proud to present this digital EP, comprising four songs from that memorable evening. "The songs, which have never been released before, range from a Kuwaiti love song that I learnt as a child, to a subversive traditional Palestinian song from the Galilee, a self-penned title track about my anguished love for Palestine, and a blues number that I always sang for my late mother. In short, these four songs constitute an autobiographical roundtrip between East, West and in between! "Enjoy this bipolar journey, as much as the band and I enjoyed our travels on the night. "Reem has focused on the traditional, as she is known to do, but she hasn’t limited herself to Palestinian folklore... Reem also chose a Kuwaiti song made famous by the two most influential singers in the history of the Kuwaiti song." Over the past week a group of eight emerging Arab authors - five women, and three men - has gathered in Sharjah to take part in the 10th International Prize for Arabic Fiction’s annual Nadwa. The workshop, which ran from 8th to 15th January, brought together writers from Iraq, Kuwait, Morocco, Oman, Palestine, Syria and the UAE. It was sponsored by the Department of Culture - Sharjah Government and took place at the Marbella Resort. The eight participating writers range in age from 25 to 48 years old and were identified by IPAF as emerging talents, following an application process They are Hasan Akram (Iraq), Yasmin Haj (Palestine), Mamoun Sharaa (Syria), Salha Obeid (UAE), Laila Abdullah (Oman), Wiam Al Madadi (Morocco), Ibrahim Hendal (Kuwait), Eman Al Yousuf (UAE). The workshop, which aims to hone their writing skills, involved daily group discussions as well as the opportunity for one-on-one guidance with mentors. The group also attended the 17th Sharjah Arabic Poetry Festival where they met His Highness Sheikh Dr. Sultan bin Mohamed Al Qasimi, Supreme Council Member and Ruler of Sharjah. 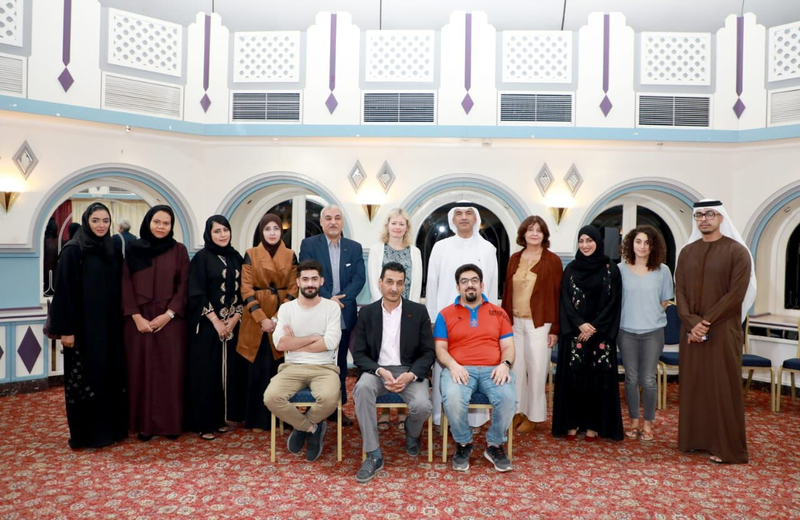 The annual workshop has nurtured a number of writers who have gone on to be longlisted, shortlisted and also winners of IPAF. These include Mohammed Hasan Alwan, Mansoura Ez Eldin, Mohammed Rabie, Ahmed Saadawi, and Shahla Ujayli, who is one of this year’s IPAF longlisted authors. 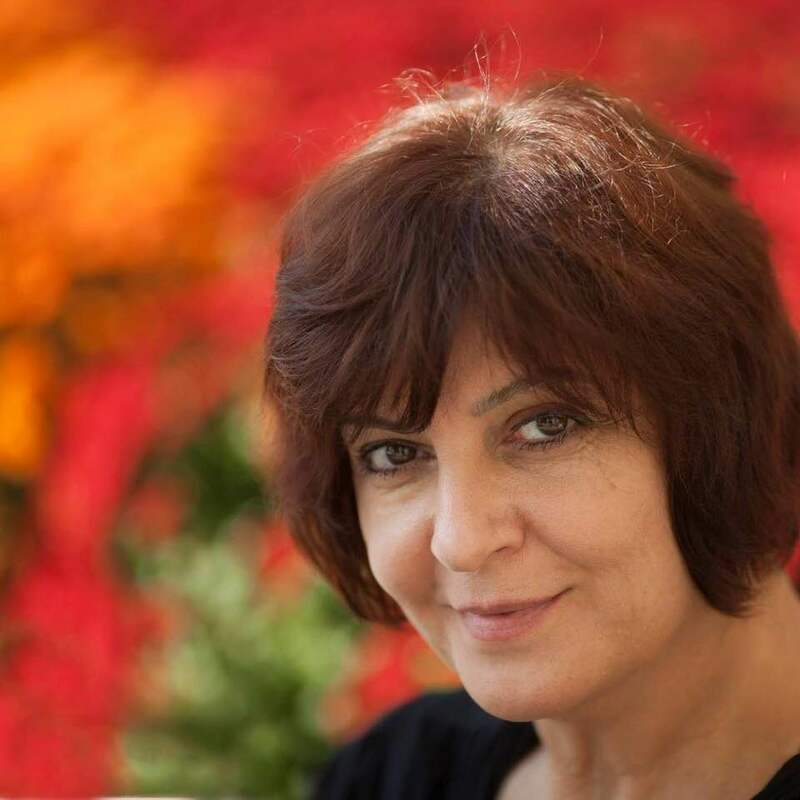 Iman Humaydan is a Lebanese novelist and researcher, born in 1956. She is the author of four novels, all have been published in English: B as in Beirut (1997), Wild Mulberries (2001), Other Lives (2010) and The Weight of Paradise (2016). Her novels have also been translated into French, German, Italian and Dutch. From 2007 to 2014, she taught Creative Writing as part of the International Writing Program at the University of Iowa, USA, and she has given several workshops in different European universities. Since 2015, she has taught Creative Writing at the University of Paris 8 in France. It is the first time this subject has been taught in the Arabic language at the university. Humaydan is a founding member of Lebanese PEN, currently its president, and a board member of International Pen. She is working on her fifth novel. Muhsin Al-Ramli is an Iraqi-Spanish writer, poet, academic and translator, born in northern Iraq in 1967. He has lived in Madrid since 1995 and received his doctorate in Literature and Philosophy from Madrid University. He writes in both Arabic and Spanish. Since 1985, he has worked as a cultural journalist for the Arab, Spanish and Latin American press, and has translated many literary works from Arabic into Spanish and vice versa. He has published more than thirty books, ranging from short stories to poetry, plays, translations and novels. Al-Ramli's novels include: Scattered Crumbs (2000), whose English translation won the 2002 American Translation Award sponsored by the University of Arkansas Press. His novels Fingers of Dates (2009) and The President’s Gardens (2012) reached the IPAF longlist in 2010 and 2013. 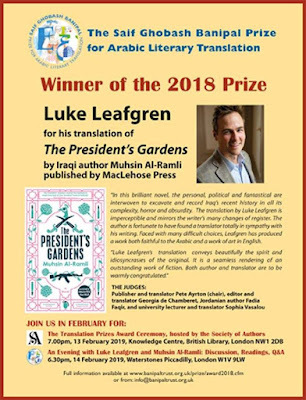 The English edition of The President’s Gardens translated by Luke Leafgren won the 2016 Pen Translates Award and the 2018 Saif Ghobash Banipal Prize for Arabic Literary Translation. His novel The Wolf of Love and Books (2015) was shortlisted for the 2015 Sheikh Zayed Book Award. His most recent book is Children and Shoes (2018). Most of his works have been translated into other languages. He is the co-founder (in 1997) and co-director of the publishing house and philosophical and cultural review Alwah in Spain, and has run creative writing workshops in Spain, Mexico, Kuwait and the UAE. He currently teaches at Saint Louis University, the American University in Madrid. Hasan Akram graduated from Al-Qadisiya University, Iraq, with a BA in Biology. For the past few years, he has worked as an editor and trustee of the Iraqi publishing house Dar alRafidain. His most recent literary project was editing and writing the introduction to The Encyclopedia Man, by acclaimed Iraqi writer Hasan Blasim and published by Dar al-Rafidain. He was a participant in a creative writing workshop run by Ahmed Saadawi, winner of the International Prize for Arabic Fiction. Aged 25, he is the youngest author taking part in this year’s Nadwa. Akram was born in Basra, Iraq, in 1993. Yasmin Haj is a Palestinian writer, editor and translator. She completed her Masters in Comparative Literature at Toronto University. She is a founder of the “Dalala” co-operative for translating literary, critical and academic writing from and into English and Arabic. She has written articles for the “Palestine” supplement of the Lebanese Al-Safir newspaper. She lives in Paris. Yasmin Haj was born in Nazareth in 1988. Mamoun Sharaa is a Syrian writer, researcher and editor. He graduated from the Agricultural College of Damascus University. From 2001-12, he worked at the Ministry of Culture in Damascus. Since 2013, he has been an editor at the publishing house Dar al-Kutub run by the Department of Culture and Tourism, Abu Dhabi. He has two published works: Bibliography of the Theatre in the Arabic Language (2010) and Bibliography of the Cinema in the Arabic Language (2012). His book Encyclopedia of Winners of the Nobel Prize for Literature will be published soon. Sharaa was born in Syria in 1970. Laila Abdullah (formerly known as Laila al-Baloushi) is an Omani writer. 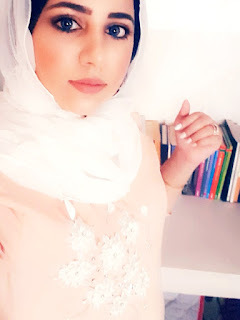 She has previously published a blog called I Breathe Calmly and had a weekly column in various Omani and Arab newspapers, including the Emirati Al-Ru’ya, the Omani Al-Ru’ya and the London-based AlArab. In 2014 she published two books, Hypothetical Love Letters between Henry Miller and Anais Nin and Worries of the World’s Room, which won the 2015 Muscat Prize for the best collection of articles. In 2016, she published a short story collection entitled My Narrative Beings, which won the Muscat Short Story Prize of that year. Her book A Sofa, a Book and a Cup of Coffee, about reading, was published under her new writing name in 2018. She is also the author of two children’s books and a novel, Pharaoh’s Notebook (2018). Some of her poetry has been translated into several languages, including Polish and Spanish. Abdullah was born in 1982. 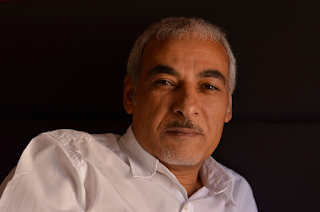 Wiam Al Madadi is a Moroccan novelist and short story writer. She is currently studying for her doctorate in translation at the College of Arts and Human Sciences, Abdel Malik Al Saadi University, Tetouan. She has a number of published research papers, translations and articles, as well as literary work ranging from poetry to short stories, novels and children’s books. She has won several prizes, including the 2010 Moroccan Writers’ Union Prize for the Short Story for her 2010 collection Whiteness; the 2012 Dar al-Watan Prize for the Very Short Story for her story ‘Who Stole the Mona Lisa’s Smile?’ and the 2015 Al-Tayeb Salih International Award for Creative Writing (first prize) for her 2015 novel The Gypsy. Al Madadi was born in 1989. Ibrahim Hendal is a Kuwaiti writer. He has been writing in Kuwaiti newspapers and Arab media since 2010, and participated in the first Cairo Literary Festival in 2015. In 2012, he published a short story collection entitled Borges and Me, and in 2017 his novel Coloured Cities came out. He is currently working on another short story collection. He has founded several reading clubs and cultural forums, including the “Qadimun” forum and the “Diwan” reading club. Hendal was born in 1985. 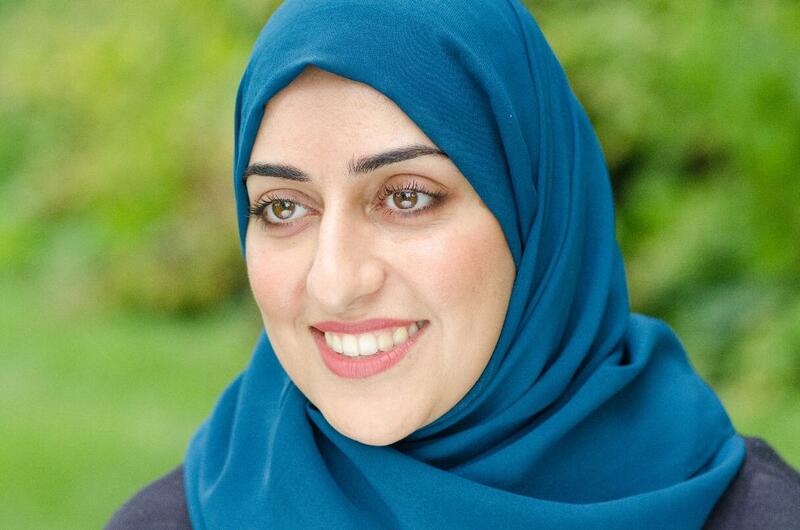 Eman Al Yousuf is an Emirati writer. She is a chemical engineer and certified coach in graphology. She has published three short story collections and two novels: The Window that Saw (2014) and Guard of the Sun (2015), which won the 2016 Emirates Novel Award. Her third novel The Resurrection of Others will be available soon. 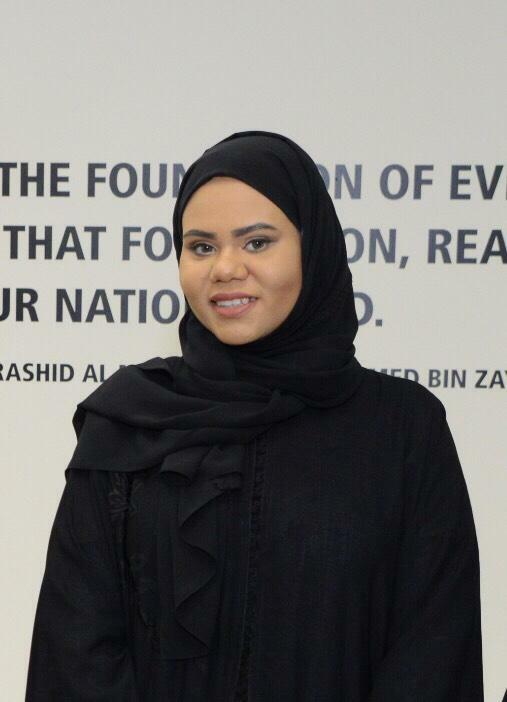 She has also published a book of literary interviews with female Emirati writers, Bread and Ink (2015). She has a weekly column in the Emirati newspaper ‘Al-Ru’ya’, called ‘Woman of the Pen’ and a monthly literary column called ‘Under the Ink’ in the Emirates Culture Magazine. Her short story The Teapot and I was made into a play and was the UAE submission at the fifth Gulf Festival for Art and Literature. She wrote the first short feminist Emirati film, Ghafa, directed by Aisha Alzaabi, and she is the first Emirati woman to be chosen for the University of Iowa’s international writing programme in the United States. Al Yousuf was born in 1987. Last week the longlist for the 12th prize was announced and includes 16 novels selected by the judges from 134 entries, all published in Arabic between July 2017 and June 2018. The full 2019 longlist, listed in alphabetical order by author surname, is Women Without Trace by Mohammed Abi Samra, Voyage of the Cranes in the Cities of Agate by Omaima Abdullah Al-Khamis, The Night Mail by Hoda Barakat, Women of the Five Senses by Jalal Bargas, The Commandments by Adel Esmat, Mohammed's Brothers by Maysalun Hadi, Black Foam by Huji Jaber, The Outcast by Inaam Kachachi, May — The Nights of Isis Copia by Waciny Laredj, What Sin Caused her to Die? by Mohammed Al-Maazuz, I Killed My Mother in Order to Live by May Menassa, Western Mediterranean by Mbarek Rabi, Me and Haim by Habib Sayah, Summer with the Enemy by Shahla Ujayli, The Mexican Wife by Iman Yehia and Cold White Sun by Kafa Al-Zou’bi. The shortlist will be announced on 5 February, and the winner will be revealed on 23 April. Susannah Tarbush - report based on press release issued on behalf of the International Prize for Arabic Fiction (IPAF) by Four Communications.